One could argue the wording of this statement and whether it should be more nuanced, at least in favour of a more evangelical feel (though I think it’s evangelical). But it interests me deeply to think about where our faith lies ultimately. Not where an ‘objective knowledge’ lies, for I think it odd when humans that are both finite and fallen claim they can fully grasp objective knowledge and truth. It doesn’t mean we cannot access truth, for I believe the Scripture is true. But, in my current engagement in epistemology (how we know what we know) and theology (understanding God and his revelation), I don’t see the creature able to objectively understand the Creator. Still, those created in the image of God can reasonably and practically engage his revelation. In the end, I ultimately believe, yes believe, that truth is centred in the person of Jesus Christ. He is The Truth. He is The Word. He is the divine Messiah and Son. We are Christians, not Biblians. 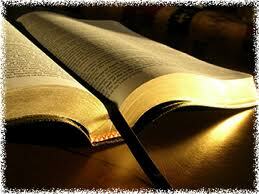 Of course, I believe Scripture, the written word, greatly testifies to The Living Word. But I also think we have to grapple with the reality that our faith is Christ-centred first and foremost, rather than being primarily Bible-centred. Again, the Bible testifies to Jesus Christ, and it is the greatest written testimony of Jesus Christ. But there is a more organic approach that helps us utilise all the gifts of God given to help us understand Jesus Christ. We have Scripture, we have the role of the living Holy Spirit, we have the power of the gospel, we have the church historic, we have the church current, we have good creation, etc. All of these gifts are just that – gifts that help us know (more than a ‘head knowledge’) God in Jesus Christ. Is one more important than the other? I’d probably say it depends on the situation. But maybe. Still, I’m not interested in degrading the Scripture that says it is merely a human text. I love the Scripture, I read it, I study it, I teach it, I preach it, and I will continue to exhort the church to do the same. It is what it is – God-breathed, authoritative, transformative, etc. It’s like water baptism. Though there are different views on the subject, I do not think that we solely believe that water baptism carries great import for Christians because of Scripture. Of course, Scripture informs me and teaches me of its major importance. But we also have 2000 years of Christians, from all cultures and traditions, highlighting the transforming reality of water baptism. And we’ve also a few different nuances within our own church background. So this quote above by Holsclaw really hit something on the head for me. One takes precedence over the other. Or really, one takes precedence over the others (plural). Christ is The Living Word. Matter of fact, most times in Scripture, when we see the terminology – word of God, word of the Lord, word, etc – it does not refer to the written Scripture. ‘The word’ is something bigger than Scripture alone. Scripture is the word, but the word is not only Scripture. The word is essentially centred in Christ. Let us be encouraged to embrace the importance of Scripture, the authority it carries as passed on by the first apostles and their companions, canonised and preserved across church history. But let us remember that our faith, at least if we claim to be Christians, is to be ultimately centred in The Living Word, the one who walked out of the grave, Jesus Christ. This entry was tagged Bible, Christ, Scripture. Bookmark the permalink. It’s that grip of modernity. Yes, the modernist perspective is, I believe, going to cause problems in our engagement with the world in regards to truth and God’s revelation. The Protestant-evangelical church replaced the Pope with the Bible. It still sounds solidly Christian and evangelical to many Americans. But I think it does fail on many theological, philosophical and practical points. It’s probably truer to say that the reformation used the bible to follow Jesus despite the pope..
Amen there Duncan! Our friend Scott borders sometimes on modernity- postmodernity, “emergent” like? And btw, sola Scriptura, the “watchword of the Reformation”, again surely developed out of the debate in the late medieval theology over the relation of Holy Scripture and tradition. For Rome of course the two were/are coequal terms, for the Reformation and Reformed, ‘the Holy Scripture is the absolute and therefore the prior norm, but allowing tradition a derivative but important secondary role in doctrinal statement.’ But just where are today’s so-called Evangelical’s? And btw, we simply must use the “philosphical and theological”, and this would include a form of “scholasticism”. But the final authority is always the Holy and Sacred Scripture itself! I think of best of the Reformed Academy of Geneva here, Calvin, Beza, and Turretin! Although I must at this point I should admit that I do mostly agree with what Scott says The scriptures only offer a dim image of Christ, since it is impossible to capture the definitive image of the father in a book. As John says, I don’t suppose that all the books in the world would even be enough to write down what he did. Scripture can only ever contain a part of his truth. Jesus illustrated this when he talked about divorce. Moses may have allowed a man to divorce his wife, but that was never God’s intention. Likewise it is not enough to keep free of murder and adultery; because we still have hatred and lust to contend with. Likewise following traditional evangelical doctrines is insufficient. Because those doctrines do not adequately reflect Christ, or even scripture. Well thankfully Christ is both the ‘Logos and the Rhema’!